Summary: If a versatile, highly durable, long lasting cross country tire with lots of traction is what you’re after, GBC’s XC Master Tires should serve your needs quite well. 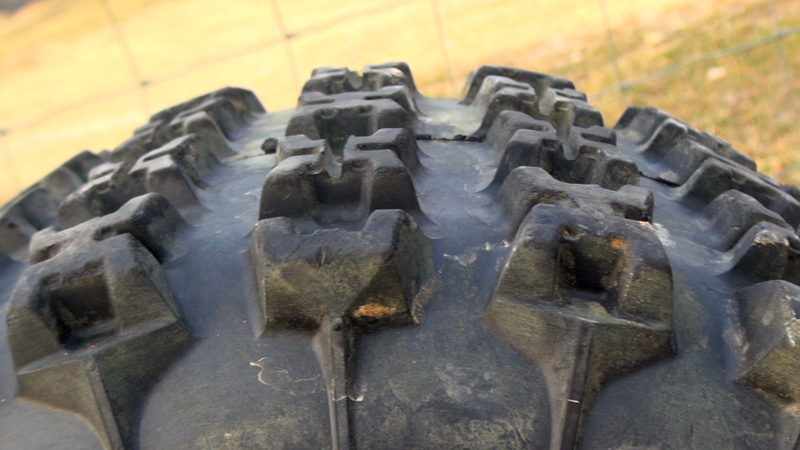 GBC’s high traction, highly durable, cross country race tires. Formerly known as the X-Rex, GBC’s XC Master Tires are claimed to have been remastered for improved race ready performance. The front tires feature a redesigned, narrower, lower profile for improved steering and control. The tire’s six-ply casting was formulated to be puncture resistant. 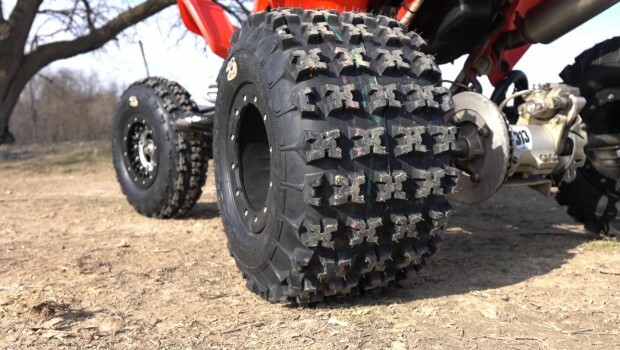 They feature a tall X-knob tread pattern, with vertical ridges running down the tire’s sidewall of the rear tires providing extra traction and protection in deep ruts. GBC is offering a healthy contingency program, so it’s no wonder more and more racers are switching to XC Masters. With their growing popularity and opportunity for payback, we decided to put their winning potential to the test. 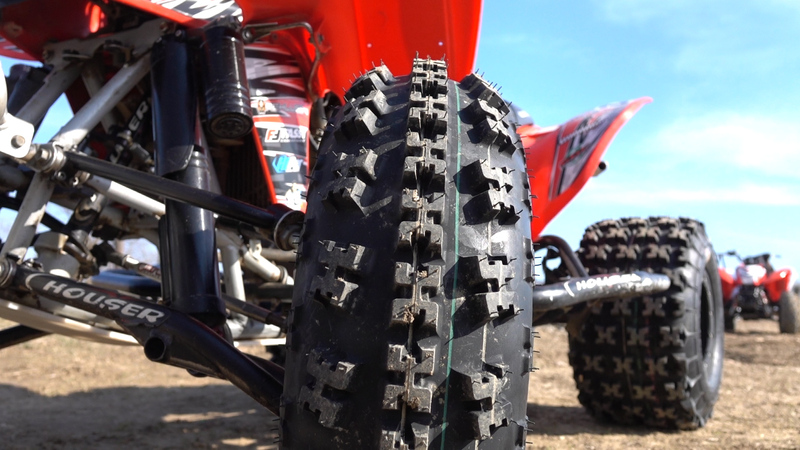 If a high traction tire is what you are after, the XC Masters won’t disappoint. Indiana Cross Country racer, Jim Namecheck, is one of those racers running XC Masters. We met up with him at Haspin Acres Off-Road Park, offering lots of variety in soil types and conditions. We mounted up a brand new set of 20×11-9 rears and 21×7-10 fronts GBC Masters on his Honda 450R, inflated them to 7 PSI front, 6 PSI rear and hit the trail. the tall knobs dig deep with enough spacing that they clean out easily with just a little dose of throttle. This helps them maintain traction on muddy, root strewn climbs. The front tires hook up and steer accurately regardless of conditions. If a high traction tire is what you are after, the XC Masters won’t disappoint. 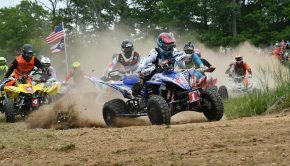 Their stout knobs, sharp edges, and harder rubber compound dig in and hook up well on hard-packed dirt on holeshots and aggressive cornering. In Haspin’s clay-based, super sticky mud, the tall knobs dig deep with enough spacing that they clean out easily with just a little dose of throttle. This helps them maintain traction on muddy, root strewn climbs. Keep your momentum up, and the front tires also do a good job of cleaning out and maintaining directional control. 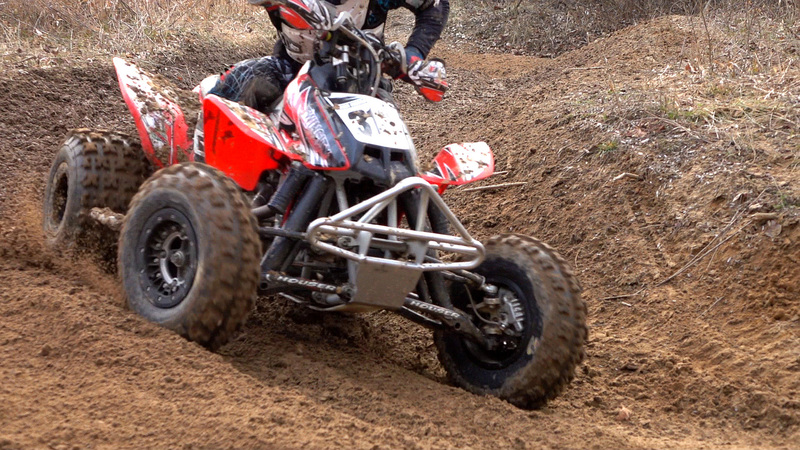 In the sand sections, the tall tread continues to provide good directional control and drive out of corners. The tires seemed to perform well in the rocks, but, perhaps, sacrifice a small amount of traction compared to softer compound and faster wearing tires. The rear tires prefer to power out of corners hooked up. 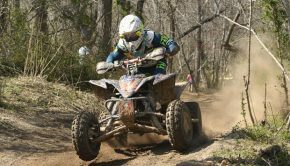 You can get them to break loose and come around nicely in sandy or loamy conditions. 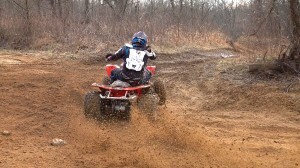 However, it takes a good dose of throttle to break the rear end loose and slide on firmer ground. Traction in corners and on sidehills is plentiful. The front tires hook up and steer accurately regardless of conditions. The rear tires prefer to power out of corners hooked up. 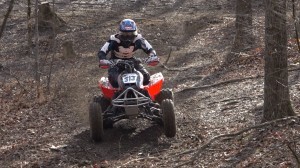 You can get them to break loose and come around nicely in sandy or loamy conditions. 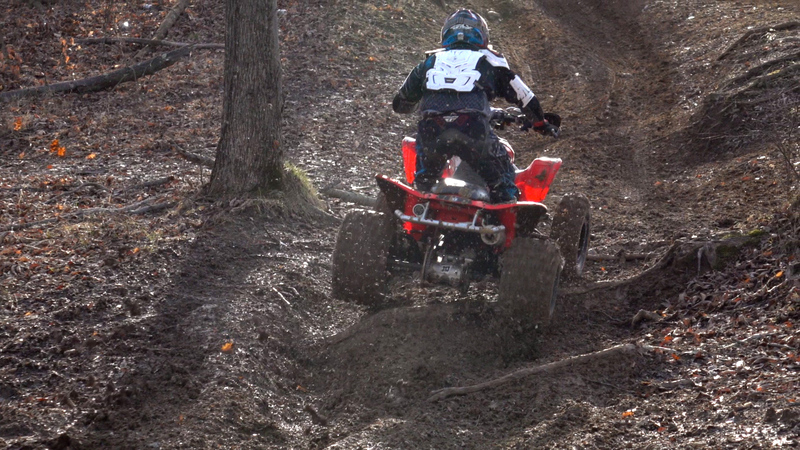 However, it takes a good dose of throttle to break the rear end loose and slide on firmer ground. Through rough sections of the trail, the tires perform well, with little hint of bounding or deflecting. Even after four or five races, the tires’ original edges are still holding up impressively well. Test rider Jim Nemacheck grooves the knobs centers after a few races to maintain traction and extend life. After a race worth of use, our XC Masters amazingly still looked brand new. There was virtually no wear to the tread’s edges and no hint of chunking. With the tires’ multi-directional design, you can rotate them for even tread wear greatly prolonging tread life. Jim has gotten five or six races out of a single set of rear tires. He grooves the center after a few races to maintain traction––another example of the tires’ versatility. Even after four or five races, the tires’ original edges are still holding up impressively well. 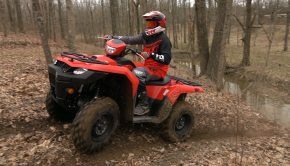 If a versatile, highly durable, long lasting cross country tire with lots of traction is what you’re after, GBC’s XC Master Tires should serve your needs quite well. Based on our experience, the XC Master is a very capable tire for cross country racing or trail riding. With their six-ply design, tall, broad knobs, and high traction performance, we feel they are best suited for pumped up 400cc machines or larger. Owners of smaller displacement machines may do better to look at GBC’s XC Racer tires, which are a bit lighter and easier to break loose.